Breaking the show's long outstanding reputation of a sausage fest (on Episode 69 ironically - bring on the lame jokes), Bridgett Englund joins the conversations. And much to our surprise we jump right into it and find out all we had known about the murder of Euronymous is false as an eye witness claims. Social networking is here whether you like it or not and it plays a big roll on discovering music, connecting with fans and making people become wimps, Reaper happily explains how. The ridiculousness does end there because in closing we point out with numerous examples of how, metal is educational! 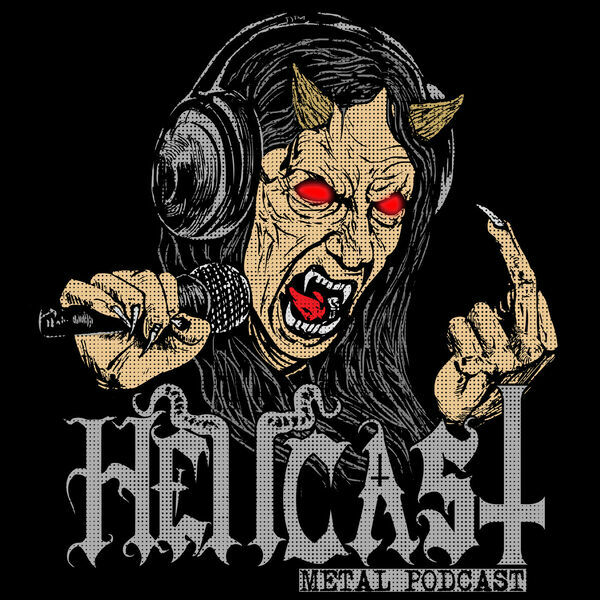 Let now the aforementioned wisdom bestow itself upon thee as it is time for HELLCAST! HOBBS ANGEL OF DEATH "Son Of God" | VOID MEDITATION CULT "Mould And Blood" | SCYTHIAN "Apocalyptic Visions" | DIAVOLOS "You Lived, Now Die" | THRONEUM "Belial" | EMBALMER "The Casket Calls"